The conventional view holds that girih (geometric star-and-polygon) patterns in medieval Islamic architecture were conceived by their designers as a network of zigzagging lines, and drafted directly with a straightedge and a compass. I will describe recent findings that, by 1200 C.E., a conceptual breakthrough occurred in which girih patterns were reconceived as tessellations of a special set of equilateral polygons (girih tiles) decorated with lines. These girih tiles enabled the creation of increasingly complex periodic girih patterns, and by the 15th century, the tessellation approach was combined with self-similar transformations to construct nearly-perfect quasicrystalline patterns. Quasicrystal patterns have remarkable properties: they do not repeat periodically, and have special symmetry—and were not understood in the West until the 1970s. 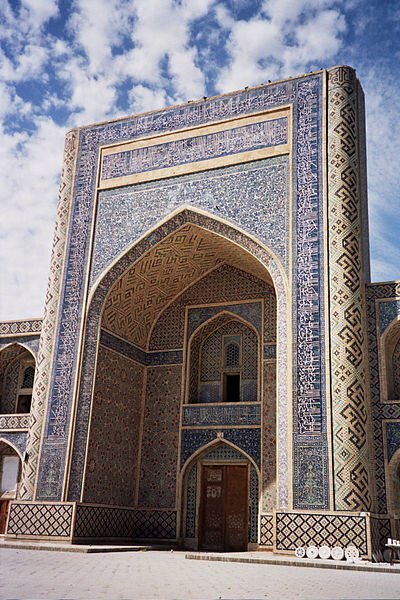 I will discuss some of the properties of Islamic quasicrystalline tilings, and their relation to the Penrose tiling, perhaps the best known quasicrystal pattern.